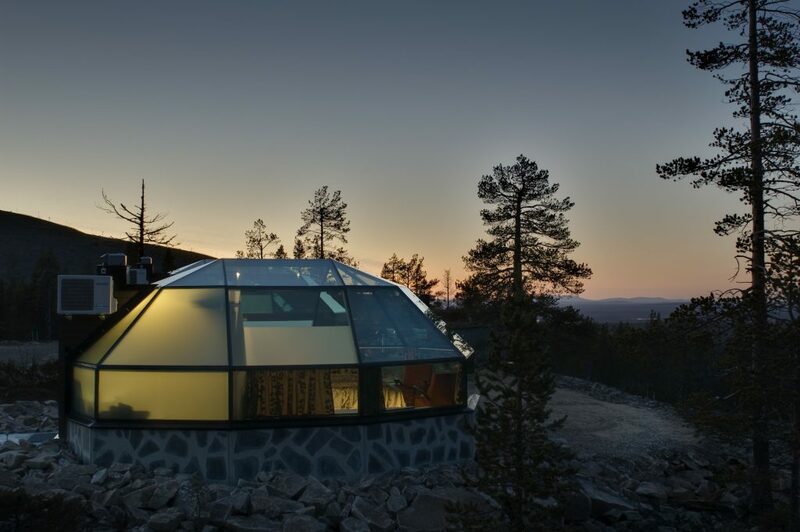 In the glass-ceilinged Levi Igloos or the subterranean Northern Lights House, you are surrounded by stunning fell scenery, and you can be part of the great glory of nature all year round. The constantly changing landscape spreads unobstructed before your eyes. 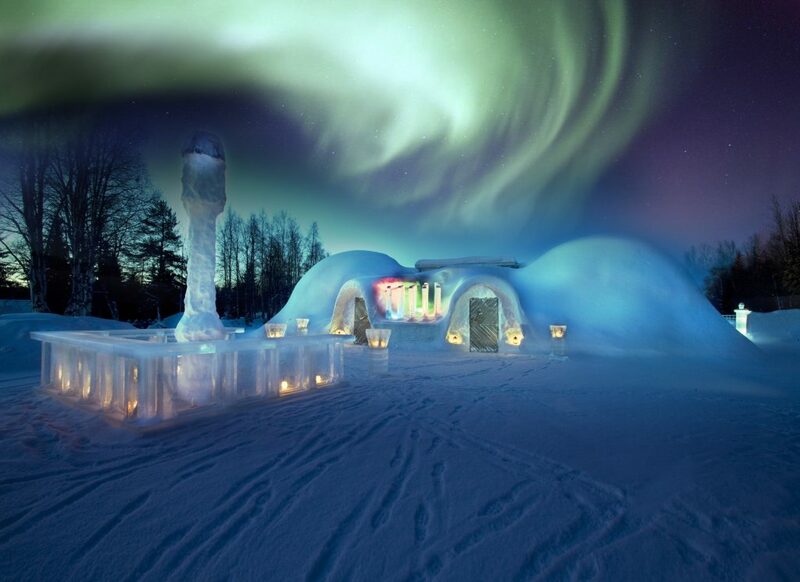 The open skies, adorned with clouds, stars and magical northern lights, are your roof. 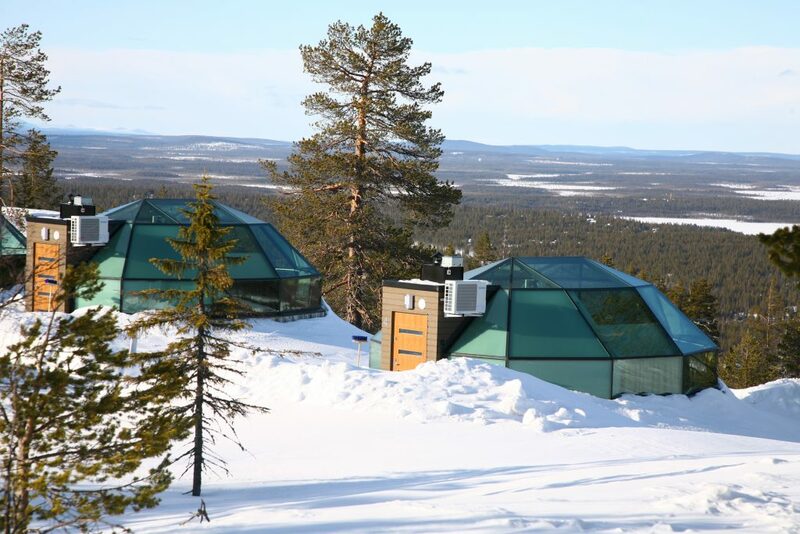 Experience the Arctic nature in a unique and luxurious way, only 10 kilometers from the bustling holiday resort of Levi. Envelop yourself in the perfect peace of the untamed wilderness, while still having access to local services. 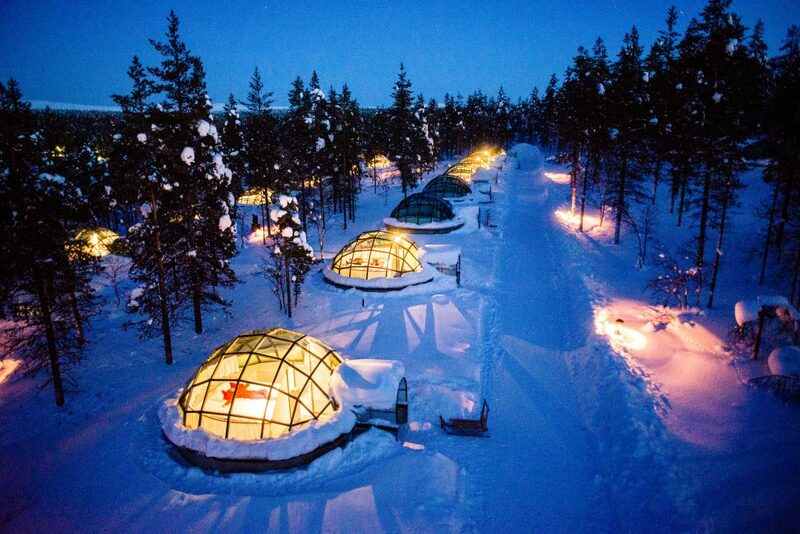 There are 2 types of Igloos: Premium (4 igloos for 2 guests) and Superior (8 igloos for 2 adults or a family of 3-4). 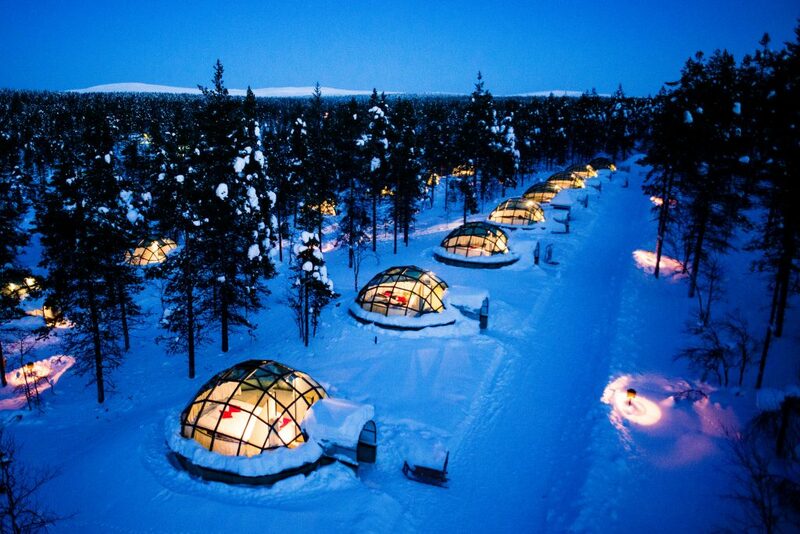 Each glass igloo is 23 m2 in size and has a kitchenette, shower and toilet. The windows are insulated and electrically heated to keep them from frosting. The kitchenette is equipped with a breakfast set for two, electric stove, microwave, coffee maker, kettle, toaster and fridge. In addition, the igloos have a radio/CD player, a hair dryer and a socket for car engine heaters. 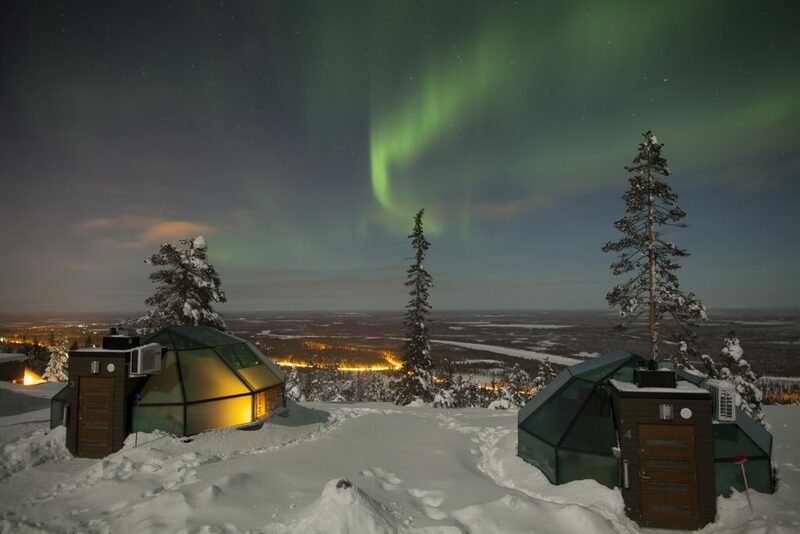 In the center of the igloo there is a motorized double bed that can be converted into twin beds, from which you can admire the scenery and night sky phenomena. 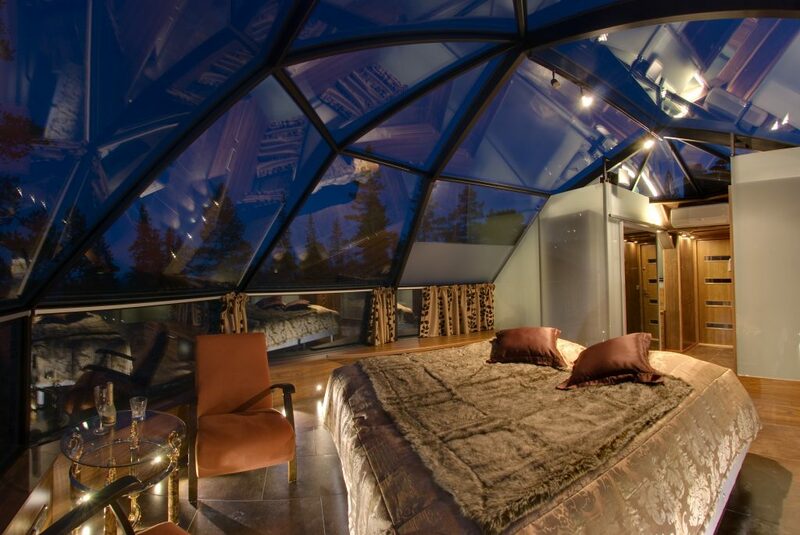 The Premium Igloos are located in a superb spot at the top of the fell, guaranteeing breathtaking premium views. The unobstructed panoramic vista stretches for miles. The Premium Igloos include a delicious welcome fruit platter. Additionally, guests are free to use the gorgeous Pentik crockery, luxurious bathrobes, towels, slippers and a special massage shower. Superior Igloos are located behind the Premium Igloos and have a couch, which can be made into 1-2 extra beds.